If you ask Naomie Cesar how she ended up in Welland, she will tell you it was because she ran out of money. If you ask her why she stayed in Welland, she will tell you it was because of the people. After leaving Haiti Naomie lived in Miami for 7 years. In 2008, she left a warm Miami and was welcomed by frigid January temperatures when she arrived in Fort Erie. She had finally made it to Canada but she had only $50 dollars in her pocket. No where near enough money to get to her intended destination, Montreal. Just enough to get a ride to Welland. Naomie will also tell you about all the people in Welland who helped her finish her education to finalize her residency requirements. She will tell you about Mary, her Welsh adoptive Mom, who continues to help Naomie strive for new dreams. Naomie can’t stop talking about what a special place Welland is. Eventually Naomie was able to afford a trip to Montreal but it didn’t take her long to realize that it wasn’t the place she wanted to raise her children. A friend suggested she check out Toronto but by then there was no place like Welland in Naomie’s heart. It was home. The people of Welland had helped her when she needed help desperately and now it was her dream to give back to the community that had given so much to her. 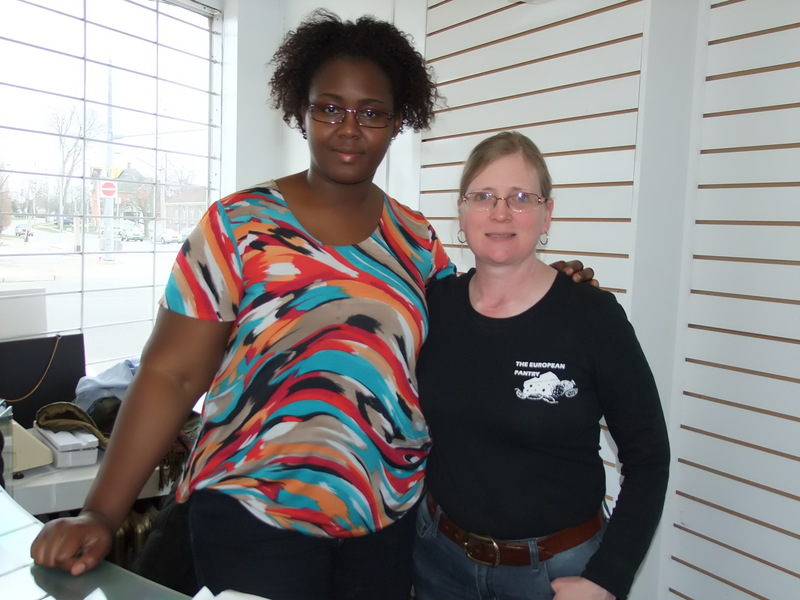 In the past few years, Naomie has helped others who are new to Canada. Besides being a RPN at the Niagara Falls hospital she volunteers with Niagara Victim Support Services. She also travels to people’s homes to give foot care. 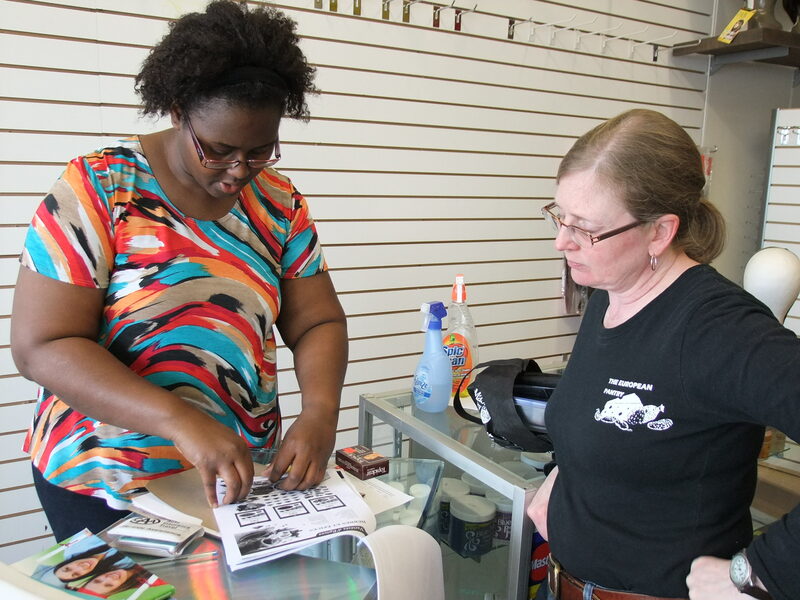 That’s how she started providing difficult to find hair products her clients are always looking for. A dream to open a shop offering imported hair & beauty supplies as well as Caribbean foods started to form in her mind. 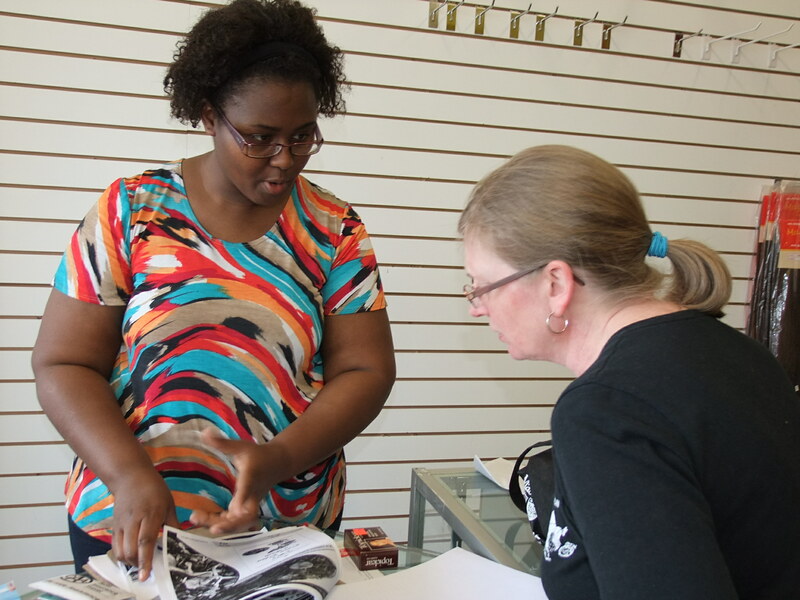 Welland’s Heritage Council provided training through their Women’s Entrepreneurship Development Programme that helps immigrant women reach their dreams. That is how I met Naomie when the programme asked me to provide mentorship to her. Although we serve different ethnic communities, our product lines present the same challenge of finding and providing hard to source items people are seeking. Like Naomie, we also started our business from the ground up. It was a good fit immediately. I have been impressed with Naomie’s strong work ethic, her caring heart and her amazing courage. We are fortunate to have her call Welland home. Even more we are fortunate that she is helping to revitalize Downtown Welland and contributing to the wonderful diversity that makes Welland the special city it is. 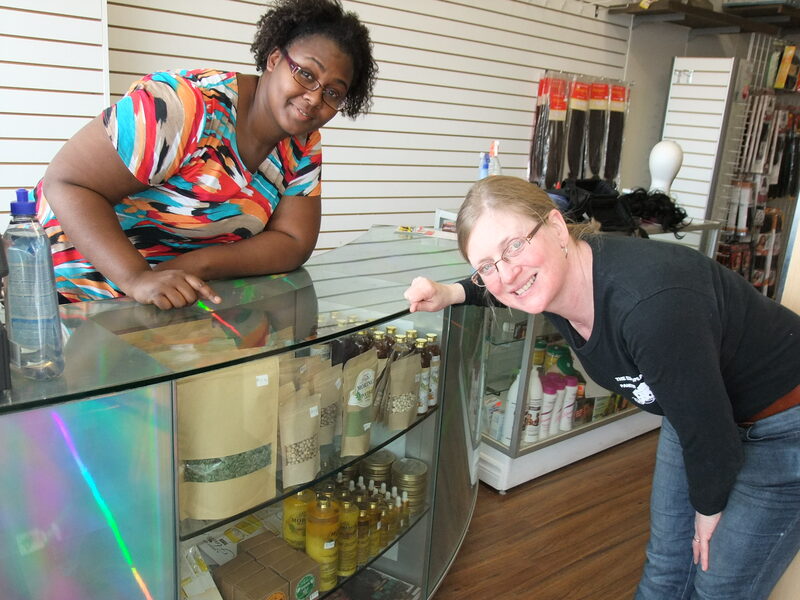 Join her May 13 to celebrate the opening of her dream store: CaribAfrican Specialty Shop. You will find it near the Tribune offices at 234 East Main St. This entry was posted in Community involvement, Niagara & Welland, What's New and tagged Ambi Black Soap, basmati sella long grain rice, Best of Haiti, Carib cassava bread, CaribAfrican Specialty Shop, Caribbean foods, Downtown Welland, Downtown Welland BIA, haitian immigration canada, Immigrant Entrepreneurs, Milarcos Chips, Moringa, Mr. John's plantain chips, Niagara Victim Services, olive oil hair relaxer, QEI+ Active Harmonie, shea butter, Welland, Welland Downtown Business Development Board, Welland Heritage Council, Women Entrepreneurs by jacquieisen. Bookmark the permalink.